If you enjoy cooking Italian food from time to time, then chances are you’ve ran out of sauce at some point or another. Maybe you’re cooking a delicious pasta and you reach into the fridge for some marinara sauce to give the final touches only to discover that you’re all out of marinara. Or maybe the opposite has happened. You decided to try your hand at some homemade pizza to use your countertop convection oven, but in your enthusiasm you forgot to buy pizza sauce and you only have marinara sauce. For some, fixing this is as easy as swiping the sauces. After all, they’re both sauces, they’re both Italian and they’re both delicious. For others, usually the ones who have done it before, replacing marinara with pizza sauce and vice versa is a big no. Why? What’re differences between Pizza Sauce vs Marinara? 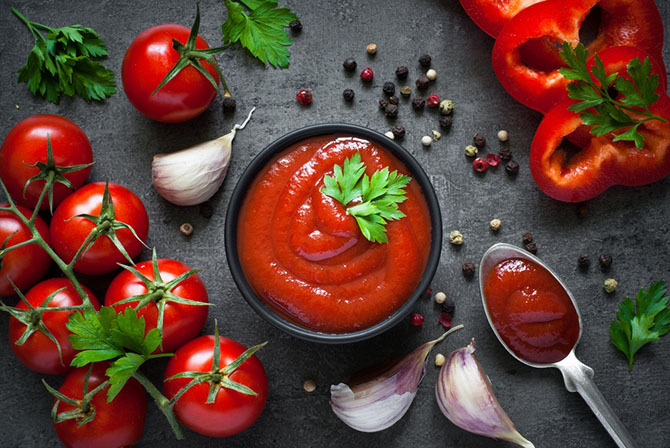 As you can imagine, there are a number of similarities between marinara sauce and pizza sauce that makes them similar enough for people to believe they can exchange them at will. For starters, they’re both tomato based, have similar seasonings and are cooked in very similar ways. That’s where the similarities stop. You’d think that something that uses roughly the same ﻿﻿﻿﻿﻿ingredients and cooking process on a pan wouldn’t produce widely different results but, as it turns out, marinara and pizza sauce couldn’t be more different. Marinara sauce is always used with pasta, which means it needs to be thicker and chunkier. In fact, out of all the varieties of pizza, marinara is the thickest; this is because marinara is served on top of the pasta. Pizza sauce, on the other hand, is meant to be used as a layer between the pizza crust and the toppings. Because of this, it can be a little runnier. So that it spreads more easily. Just like marinara is thicker, its flavor is also stronger. It’s supposed to give flavor to the pasta by sliding into every nook and crannies, mixing between the noodles or any other form of pasta you’re eating; This is also why marinara tends to be spicier and chunkier. In order to enhance the pasta. Precisely because pizza sauce will be served alongside a variety of toppings, pizza sauce doesn’t need to be as flavorful. However, it does tend to have more salt. Believe it or not, though the ingredients are relatively similar, pizza and marinara sauce taste very differently. The flavor from pizza sauce comes from the tomatoes used to make them There’s basil, salt, and s﻿﻿om﻿﻿e garlic but, for the most part, you’ll be tasting tomato and little else. 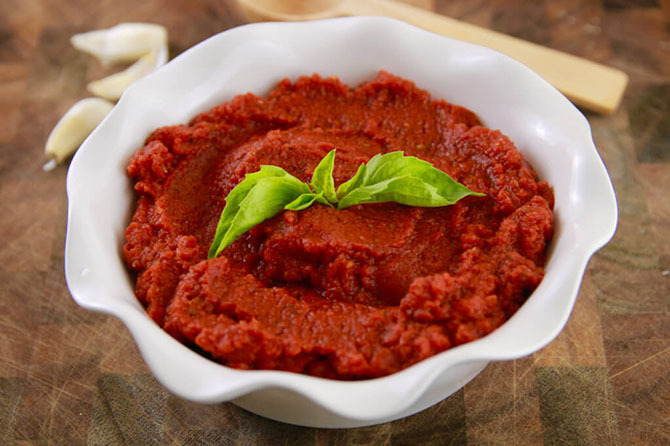 Marinara sauce, on the other hand, has more seasonings, such as oregano, garlic and other aromatic herbs. It is also cooked for longer periods of time, which allows the seasonings to leave a stronger taste. 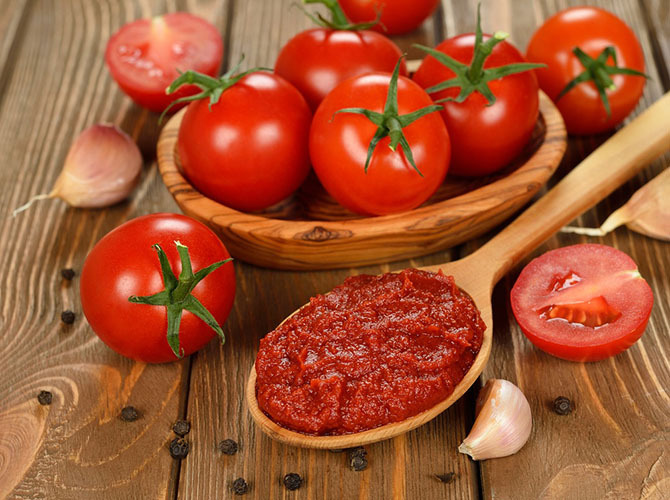 As a general rule, though this can change from recipe to recipe, the tomatoes used in marinara sauced have been cooked beforehand, as this gives them more flavor and can be done because the marinara sauce is added at the very end of the cooking process. On the other hand, the tomatoes used on pizza sauce are often used raw. The reasoning is quite simple: Pizza cooks at high temperatures after the pizza sauce has been added, so if you cook the tomatoes before cooking the pizza, you’re at risk of overcooking your sauce. As you can see, marinara and pizza sauce are different enough that they’re going to give you completely different results when you try to substitute one for each other. Before we tell you how you can substitute marinara for pizza sauce (and vice versa), let’s talk a bit about how they do it in Italy. You’ll be surprised to find out that in Italy, there’s no such fuzz about marinara and pizza sauce. Plainly speaking, they’re both the same. Both restaurants and home cooks create a tomato sauce based called sugo. The exact ingredients and preparation of this sauce varies from person to person, which is why it’s safe to say it’s “the house sauce”. Large quantities of sugo are prepared and ingredients are added as needed; If someone asks for a pizza, then the sugo is used as it is or maybe it’s thinned with a bit of pasta water. 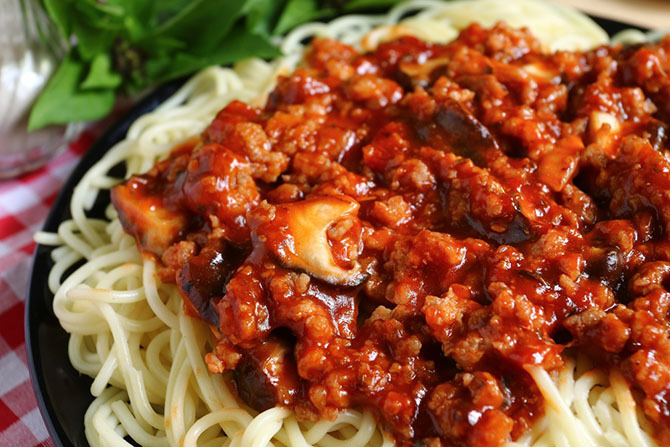 If someone orders spa﻿﻿﻿g﻿﻿﻿hetti, then the sugo is thickened with extra spices to give it its characteristic flavor. No need to make things more complicated. After all, simplicity is one of the keys of I﻿talian cooking. The short answer? No, but you can always turn one into another. Let’s go back to “the Italian way” for a moment. 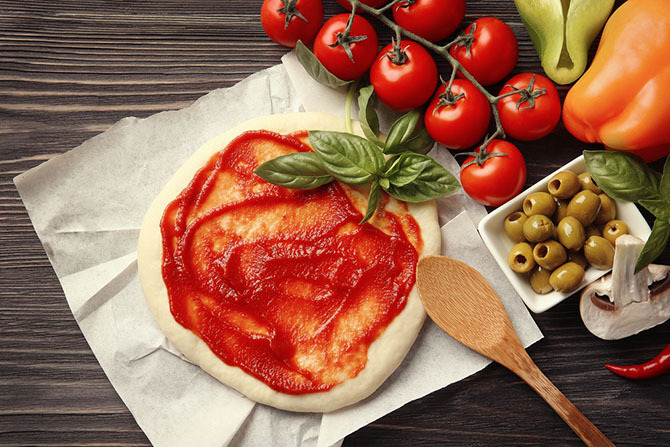 As we mentioned before, while there are some obvious differences between marinara and pizza sauce, they both have the same bases so it’s only a matter of matching the consistency and relative taste of the sauce you need. Say you need marinara and you only have pizza sauce: In this case, what you need to do is thicken your sauce and add more spices. 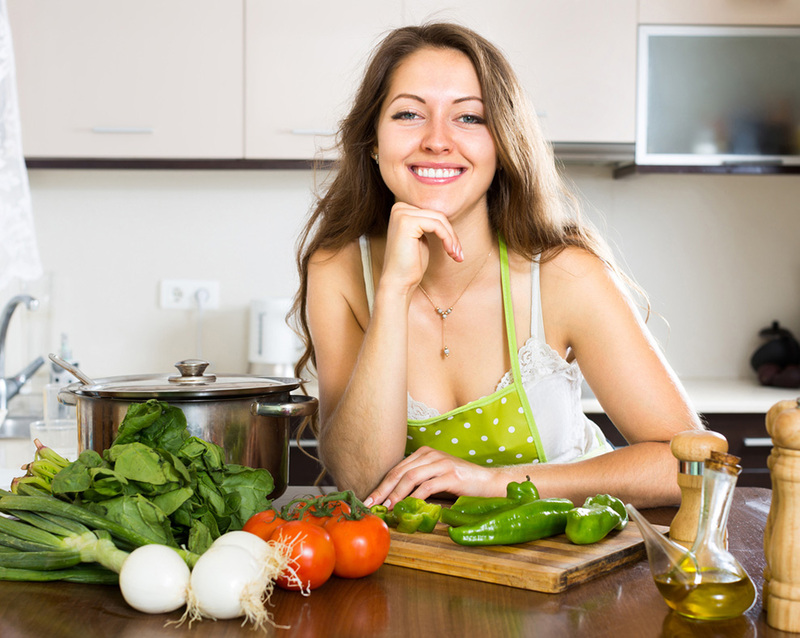 Garlic, basil, oregano, onion, celery and bay leaves are traditional ingredients you can use when making marinara. Next comes the texture, and there are a variety of ways you can thicken the texture of pizza sauce. - Cook the pizza sauce at a low boil while stirring. This will help the water evaporate, thickening the sauce. Cook until it has achieved the desired consistency. You can also thicken the sauce by finishing cooking your spaghetti in it. Just wait for the spaghetti to be almost al dente, then add it to your simmering sauce. Good news. Turning marinara sauce into pizza sauce is even easier than doing the opposite. Mostly because pizza sauce can be pretty much anything you want it to be. All you need to do is reach the consistency you want in your pizza sauce. This can be achieved by adding some tomato paste to thicken it slightly or adding tomato juice. 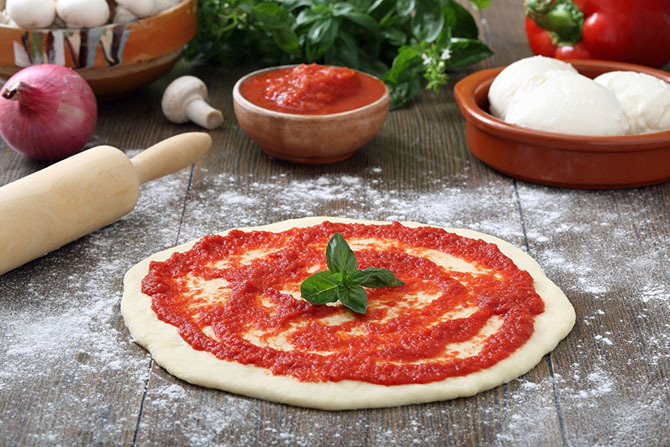 As you can see, the goal is to treat your existing marinara or pizza sauce like you’d treat sugo and adding ingredients to better fit your needs. Marinara and pizza sauce are different kinds of sauce that are better suited for different kinds of dishes. However, they both have similar bases and can be altered to resemble the other. If you’re a fan of homemade sauces, we recommend making sugo instead of making marinara or pizza sauce. 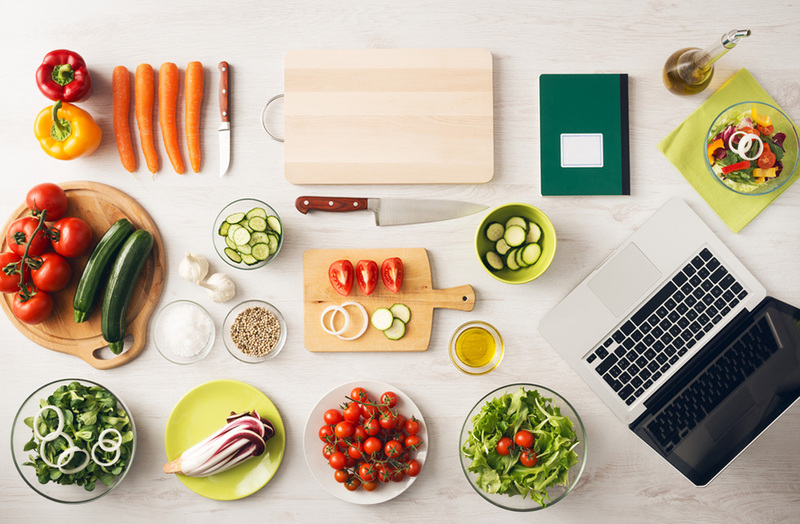 This way you can add the ingredients you need and create different kinds of sauces to fit your needs. And if you prefer buying things pre-made? That’s fantastic! Just buy some high quality tomato sauce and use it as sugo instead. You’ll save money by not having to buy two different kinds of sauces. Guaranteed. You may also enjoy reading Ziti vs Penne. If you’ve followed our advice or if you know any other way of turning marinara into pizza sauce, and vice versa, leave a comment! We’d love to hear what you have to say.